London and the O2 host the 2017 ATP World Tour Finals, starting on the 12th Nov with the final on Sunday 19th Nov. The top eight players in the world descend upon the ATP World Tour Finals on a quest to be crowned the top player at the end of a long season. What a difference a year can make. Last year, Murray was crowned number one in the ATP player rankings and entered as the top seed. He beat Djokovic in the final and won his first ATP Final title. One year later, and he is absent after a disappointing year and a struggle with fitness. Let’s take a look at betting market and who bookmakers think will win this year. All odds are taken from Bet 365, are correct at time of publishing and are subject to change. The Strong favourite to win this year is Roger Federer. He has had an impressive season, beating top 10 players 12 out of 13 times. He pulled out of the Paris Masters this month to focus on the ATP World Tour Finals. Missing the clay season meant that the point deficit between him and Nadal is too significant and that his priority remains London. At just 1.66 to win the tournament, it would be a big surprise to see him not progress out of the ‘Boris Becker’ group. Rafael Nadal in the betting markets will be Federer’s strong opposition. The Spaniard can currently be backed at 4.50. A concern for those backing Nadal will be a potential injury problem. He too pulled out of the Paris Masters with a knee injury, although according to his coach, Moya, this was not necessary. There was no new problem with his knee and had he been required to, he would have continued. With it not being a Grand Slam, and his points tally strong entering the ATP Finals, he decided to withdraw, prioritising London. Nadal is yet to win the ATP Finals and will be keen to add it to his career accomplishments. 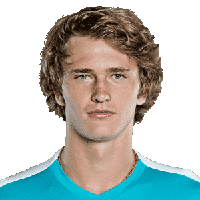 Alexander Zverev makes his debut in the tournament and is priced at 8.50. Aged 20, he is the youngest player inside the top 30 and will be a popular draw for the crowd. In an interview this week he said merely participating was like “winning a tournament already”. 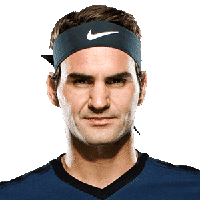 He has picked up five titles this season and has proven he can beat the top players with victories over Federer and Djokovic. Zverev is drawn in the same group as Federer, so he will need to beat his opponents to be the second player to progress. Outside of the top three favourites, we have Grigor Dimitrov (priced 11.00), Marin Cilic (priced 13.00), David Goffin (priced 21.00), Dominic Thiem (priced 23.00) and Jack Sock (also priced 23.00). BBC and Sky share the TV rights for the Barclays ATP World Tour Finals. The BBC have the afternoon sessions, with coverage from 2 pm on BBC 2. Only Sky have rights for the evening sessions, with coverage starting from 6 pm on Sky Sports. If you prefer the Sky coverage, you can watch both on Sky Arena. The final is being shown live by both the BBC and Sky on Sunday 19th. BBC iPlayer – BBC iPlayer – The BBC has all the afternoon sessions live on BBC2; it is possible to stream this channel in the UK. Remember you need a TV licence to do so. Sky Go – Sky are showing all the games live, so if you’re a Sky customer with Sky Go this will be your best option. Bet 365 – Bet 365 is live streaming the ATP World Tour Finals via their website. You must have a Bet 365 sports account with funds in it, or have made a bet within the last 24 hours. All odds in this article have been provided by Bet 365 and are accurate at the time of writing. They’re subject to change. Last year we saw special offers from Boylesports, Betfair, NetBet and Paddy Power. We expect most of the promotions for this year to be made available later in the weekend. For the latest up to date offers, see our tennis betting offers page, which is updated daily. For now, here is what is available. Paddy Power ‘retirement refund’ – During Wimbledon, we saw a series of retirements. The ATP Finals is a much smaller tournament, but with Nadal potentially carrying a knee injury, this offer is worth considering. Paddy Power will return your stake as a free bet if your backed player has to retire after the first set. 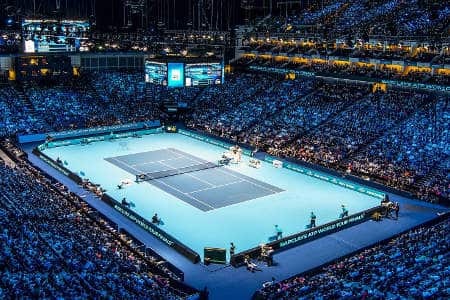 Paddy Power ‘free bets’ – Place 50 bets at the ATP World Tour finals in a week and Paddy Power will give you a free bet equal to their average. 10Bet ‘money back’ – Bet at least £5 in any ATP World Tour Finals match, and if your player doesn’t win, but does lose in a tie-break then 10Bet will refund your losing stake as a free bet, up to the value of £10. Accumulator offers – Various bookmakers have offers for tennis accumulators. With 10Bet, you can earn up to a 60% bonus on your accumulators, while with Bet 365, you can earn up to a 50% bonus. They are all detailed in this tennis accumulator article. New customers – If you don’t have an account, or are looking to open a new one, see this full list of betting sites with offers.